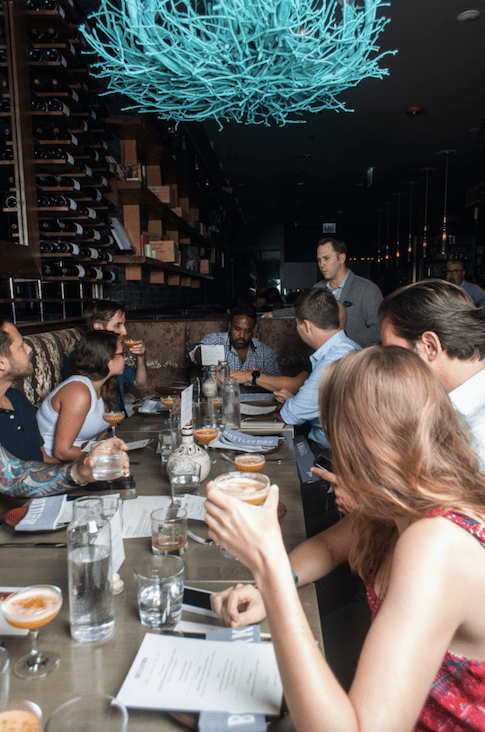 Earlier in August, I attended a dinner at Moe’s Cantina featuring delicious Northern Mexican cuisine perfectly paired with Grand Mayan Tequila. 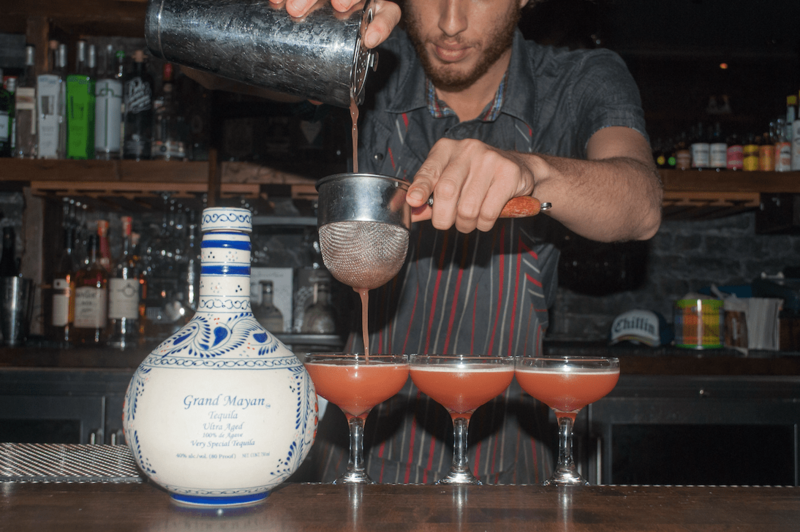 I recently had the opportunity to attend another dinner featuring Grand Mayan Tequila, this time at Bottlefork. I’m a fan of Rockit Ranch… my favorite restaurant of the chain is Ay Chiwowa, followed by Rockit Burger Bar in Wrigleyville. If you haven’t had the Mac Attack burger, you haven’t really lived life. 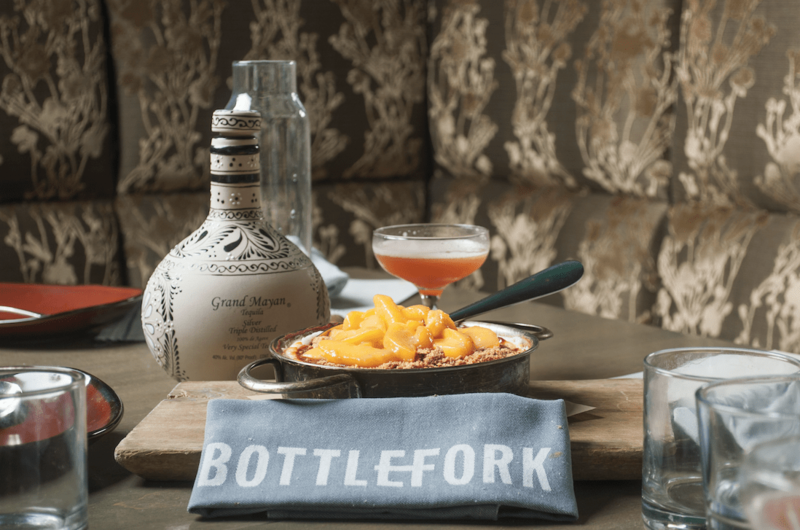 This was my first time at Bottlefork and I didn’t know what to expect… Bottlefork is one of the more upscale restaurants of the Rockit Ranch chain, but has an interesting edge in terms of decor. 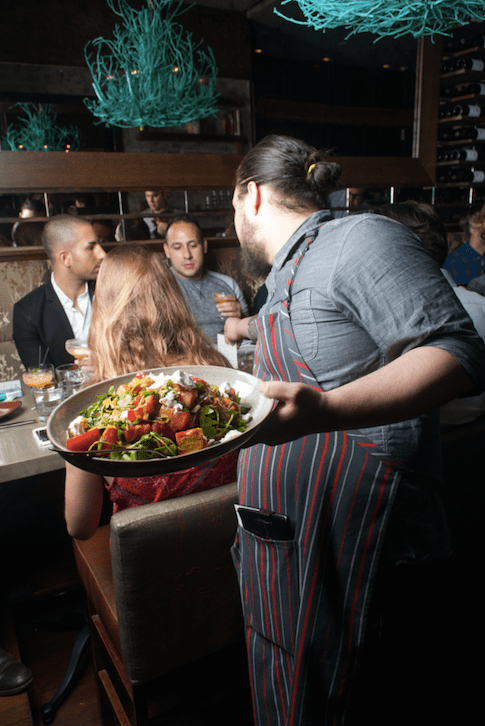 The layout is long but narrow, which makes for a more intimate dining experience. Before we talk about the amazing craft cocktails, let me tell you a little bit about the food that we ate with them. The first course was two different kinds of salads, with a non-traditional twist. I really enjoyed the grilled watermelon and arugula salad – complete with creamy goat cheese. The other was ensalada latina – it had a delightfully spicy kick. My favorite course was the black bean and chorizo sope with avocado creme, cilantro leaves and goat cheese. The traditionally Mexican flavors played well together. The crowd favorite seemed to be the grilled beer soaked chicken thighs that we put in fresh taco shells with housemade salsa. It all came together in the end with a warm and creamy cheesecake with caveat peaches. I could keep eating this meal for a week and not get tired of it. But really, this meal wouldn’t have been as good without the delicious cocktail pairings. Each one used a variety of Grand Mayan Tequila. The first one was interesting. 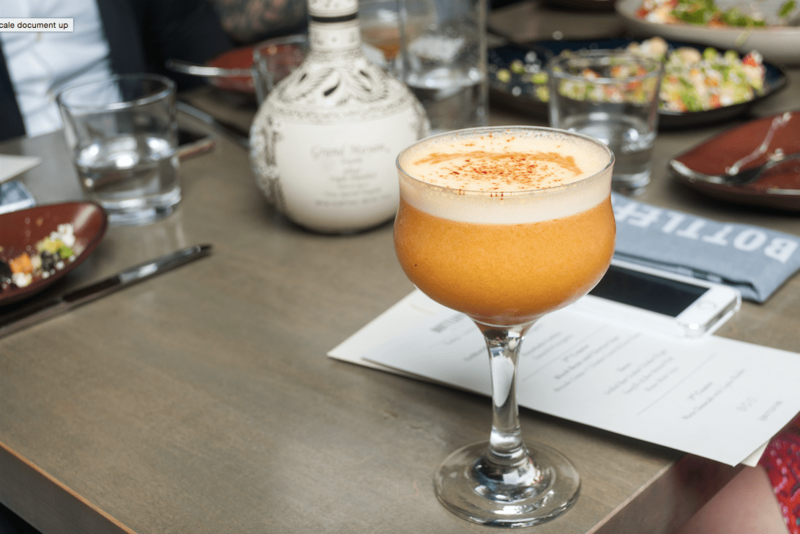 It was called “The Grand Comote” and it featured Grand Mayan Blanco tequila and was infused with bacon fat. I don’t think I’ve ever had a drink infused in fat before! Other interesting ingredients included spicy things like ancho reyes and lime chili guajillo. The inclusion of egg whites frothed it up and gave it a hispanic edge. My favorite was the last one – called “A Noble Soul.” I liked it so much, I asked them to make me another one! I think I was initially attracted to the pinkish color after all the ingredients were combined. This one also used Grand Mayan Blanco tequila (though not infused with fat), and a bit of Mezcal for a smoky flavor. There were a lot of sweet components: lychee, grapefruit and agave nectar. Angostura bitters floated around and gave the drink an extra kick. I can honestly say that before tonight, I’d never had a cocktail crafted with tequila. Tequila is my favorite liquor for shots, so I’m not sure why it took me until now to bridge the gap. I was so pleasantly surprised with how smooth and delicious these cocktails were that I kept asking for more. I think people usually put tequila in the summer drink category (Margaritas, shots, etc), but these cocktails were more reminiscent of fall with their complex bitter and spicy flavors. Beats the hell out of a Pumpkin Spiced Latte!